Ufungamano Initiative is a forum of religious organizations comprising Anglican Church of Kenya, Evangelical Alliance of Kenya, Hindu Council of Kenya, Kenya Episcopal Conference, Methodist Church in Kenya, National Council of Churches of Kenya, Organisation of African Instituted Churches, Presbyterian Church of East Africa, Seventh-day Adventist Church, and Salvation Army. We the undersigned religious leaders drawn from member organizations express our deep concern and sadness about the developments which have taken place since the announcement of the results of the December 2007 general election. At the same time we commend Kenyans for being peaceful during the voting period and for exercising their democratic right in large numbers. The Electoral Commission of Kenya declared Hon Mwai Kibaki the winner of the presidential election on 30th December 2007 in a closely contested general election. Following this declaration, Hon Mwai Kibaki was issued with a certificate by the Chairman of the Electoral Commission and he was sworn in as the President of the Republic of Kenya on the same day at State House. The rejection of the presidential results by the Orange Democratic Movement (ODM) aggravated the violence that had erupted as a result of delay of announcement of the results. 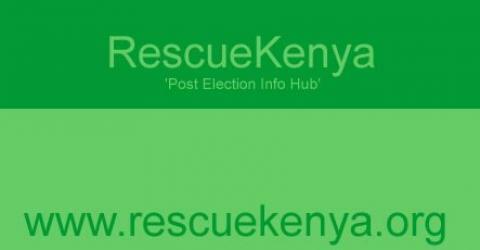 Consequently, more than 600 Kenyans, mostly in Coast, Nairobi, Nyanza, Rift Valley and Western Provinces, have lost their lives. As we speak, more killings and destruction of property are continuing. More than 250,000 people have been displaced and are now depending on well wishers for food, clothes and property. In addition to loss of lives and property, the country has lost billions of shillings in the economy because normal business has been interrupted in both urban and rural areas. Today, we are in pain to see Kenyans killing other Kenyans. Kenyans have lived together as brothers and sisters, worked together and intermarried for a long time as one people. What went wrong after the general election? Who incited people to kill, burn and destroy property? Thorough investigations should be carried out to answer these questions and to arrest all those responsible. We appeal and urge Kenyans of all walks of life to respect life as God-given and other people’s property for we need one another as long as we live in our God-given country. The earth belongs to God and everything in it. Kenya too belongs to God and we are accountable to God in the way we manage our affairs. We commend those helping the wounded, the displaced and the suffering at this time of grief. We add our voice to the many who have called for mediated dialogue between the government and the opposition to ensure Justice, Peace and Unity necessary for the development of our country politically and economically. Further, we appeal to the leaders of the opposition to give dialogue a chance rather than calling for mass action. We have noted with great concern that some Foreign Missions are taking part in our internal affairs. Some of their statements are partisan and do not appear to be helpful in improving our current political situation. We wish to urge very strongly, all foreign missions to stop making such statements and to respect our sovereignity as the Republic of Kenya. We urge the political leaders to engage in dialogue and thereby develop workable solutions to the crisis facing our nation. Let us all uphold peace and work towards a united Kenya in order to avoid anarchy in managing our political and other affairs in our country.